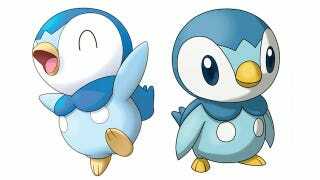 Piploop became Piplup because Piploop sounds too much like poop. Another Pokémon was almost called Doncrowleone, but... well that one's pretty obvious. Siliconera's got a great interview with Seth McMahill, an assistant project manager at Nintendo and one of the people who helps translates games like Pokémon from Japanese to English for release on U.S. shores. McMahill's got some funny anecdotes from his time there. "There are some other ones, where you're just stumped," he told the site. "Like Lickilicky. A Pokémon with a giant tongue. Well, what do you name that, you know? All right, Lickilicky."